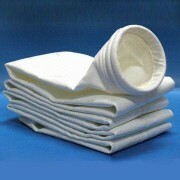 This page sets out the terms for the sale of Goods by C-Air Filtration ltd to you. These Terms of Sale apply: By placing an order with us, you agree to be bound by these Terms of Sale and our Returns Policy . Your offer: Your click of the "add to cart" button is an offer to buy the products sold by C-Air Filtration (the "Goods"). By clicking "add to cart", you explicitly acknowledge that, if your order is accepted by us, it places you under an obligation to pay for the Goods. You must be at least 18 years old to purchase Goods. A copy of these Terms of Sale: We keep a copy of the contract between us (these Terms of Sale) – and we advise you to print out these Terms of Sale as a record. Your legal rights: As a consumer, nothing in these Terms of Sale affects your legal rights related to faulty or misdescribed goods or your ability to cancel the contract. Updates to these Terms of Sale: These Terms of Sale were most recently updated on 17/01/2018 . We reserve the right to amend these Terms of Sale at any time (which we will post online). Any amendments to these Terms of Sale made after you have submitted your order will not apply to you in respect of that order. Pricing and whom you pay: We will take and process your payment for your order. All prices (including delivery charges) for Goods are inclusive of legally applicable VAT. Prices are set out to you prior to your purchase and at checkout. Our prices may change at any time, but changes will not affect your order, other than in circumstances described in Clauses 2.4 and 2.5 below. Delivery charges: Prices do not include delivery charges. Any such charges will be stated ion the "check out section". Delivery charges are displayed separately and added to the total amount due before you complete your order. If we are required to schedule a delivery time with you and you are not available at the agreed time, we may charge you the costs of rescheduling the delivery. Placing your order: After you place an order by clicking the "pay now" button you are agreeing to these Terms of Sale, the contract is complete after you receive an email confirming our acceptance of your order. However, we reserve the right to reject your offer and not conclude a contract with you. If we accepted your order, you will receive another email confirming dispatch of the Goods. Please note that, if we reasonably believe your order is fraudulent or you have otherwise violated applicable law when ordering, even if we have accepted your order, we reserve the right to cancel it. Errors and omissions: Occasionally there may be an error or omission related to the pricing or description of the Goods we sell. We will use reasonable endeavours to correct any errors or omissions as soon as practicable after being notified or learning of them. We reserve the right to change, modify, substitute, suspend, or remove without notice any information related to Goods for sale (including the Goods themselves). if the price of the Goods is higher than the stated price, we will contact you and allow you the option to pay the correct (higher) price or cancel your order and receive a full refund. 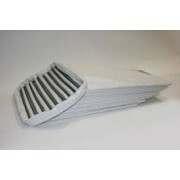 Shipping: C-Air Filtration ltd shipping options will vary by product. Your purchase is not eligible for shipment outside the United Kingdom including some highlands and islands. Additionally, shipment may be limited to specific geographic locations within the United Kingdom. For example, we may not be able to deliver certain Goods to: the Bailiwick of Guernsey (GY); Jersey (JE); Isle of Man (IM); Outer Hebrides (HS); Kirkwall (KW); Truro (TR1-20); and Lerwick (ZE) (NI) Northern Ireland. Delivery Times: We will do all that we can to meet delivery times our normal delivery time is 3-5 working days. Please note that unless otherwise stated, delivery estimates are only estimates; they are not guaranteed delivery times and should not be relied upon as such. You must take reasonable care to ensure that the Goods are properly packaged so that they will not be damaged in transit. We will not be able to take back items cut to size or that have been used or bespoke made. You will be responsible for the cost of returning the Goods to us. We recommend that you use a recorded delivery service when returning the Goods. We can refuse to take goods back the goods back with good reasons set out above. Your refund will be made within 21 days of goods being placed back into stock, providing they are in re-sale condition and received in original sate and packaging as sent. Any other Goods that by reason of their nature cannot be returned, including those that would be damaged by transit. Returning the Goods: Please note that if you exercise your right to cancel your order, you must return the Goods to us within 14 calendar days of such cancellation. Our Returns Policy: Every item we sell is backed by our return policy. In addition to your right to return Goods within 14 calendar days from the day that you, or a third party indicated by you, receive the Goods, you also retain all applicable legal rights to return new or refurbished Goods, including where goods supplied to you are incorrect or faulty. If goods are returned due to wrong item chosen by you then we will reserve the right to a 25% re stocking and handling fee. Refund Time: we will refund your debit / credit / PayPal payment within 21 days of goods being returned under our returns policy. Title to returned Goods: We take legal title to the returned Goods only after the Goods arrive at our returns destination. We reserve the right to issue a refund without requiring a return. In this situation, we do not take title to the returned Goods. Problems with your returned Goods: We reserve the right to refuse to issue a refund and to recover the cost of the delivery of your return from you in the event that the Goods are found to have suffered damage after delivery to you; the Goods have been misused or used other than in accordance with the instructions or for inspection purposes; or if the problem with the Goods is due to normal wear and tear. This Clause 5.3 does not limit or affect your right to cancel your contract and return goods under Clause 4, or your rights where goods supplied to you are incorrect or faulty. We aren’t the manufacturer: We are not the manufacturer of the Goods we sell. While we work to ensure that the Goods match the description we have provided, are of satisfactory quality and are fit for use, the Goods may vary slightly from such product information. We encourage you to read all information presented on labels, warnings and directions which accompany the Goods before use. Any guarantee provided by us, the manufacturer or importer does not affect the legal rights and claims that you may apply under the contract. Accuracy of descriptions: We have taken reasonable steps to display as accurately as possible the detailing of the Goods. However, the detailing you see on the advertisement will depend on the equipment you use to view the Goods. We cannot guarantee that the display of any colour or other detailing on your television, mobile device, computer monitor or other device will exactly reflect the colour or detailing of the Goods upon delivery. We will not contravene the requirements of professional diligence in what we do. This Clause 7 takes precedence over all other Clauses (except for Clause 1.5) and sets forth our entire Liability. What we are responsible for: Nothing in these Terms of Sale shall exclude or limit our Liability for any Liability for (i) fraud; (ii) serious misconduct by us, excluding serious misconduct not conducted by us; or (iii) any Liability which cannot be excluded or limited by applicable law. You are obliged to take adequate measures to avert and reduce damages. Indirect or consequential loss (and for the avoidance of doubt, we understand the words "consequential loss" to mean "consequential losses whether those losses are foreseeable, known, foreseen or otherwise"). "Liability" means liability in or for any cause of action whatsoever (including breach of contract, tort, misrepresentation, restitution or any other cause of action whatsoever) relating to or arising under or in connection with these Terms of Sale (including liability expressly provided for under these Terms of Sale or arising by reason of the invalidity or un-enforceability of any term of these Terms of Sale). No partnership/agency: Nothing in these Terms of Sale shall be construed to create a joint venture, partnership or agency relationship between you and us and neither party shall have the right or authority to incur any liability, debt or cost, or enter into any contracts or other arrangements in the name of or on behalf of the other. Assignment: You may not assign or delegate or otherwise transfer all or any of your rights or obligations under these Terms of Sale without our prior written approval. We will not refuse this approval without good reason. We shall have the right to assign or otherwise delegate all or any of our rights or obligations under these Terms of Sale to any person. Events beyond our reasonable control: We shall not be liable for any breach of our obligations under this Agreement where we are hindered or prevented from carrying out our obligations by any cause outside our reasonable control. Where there has been an event outside our reasonable control which has affected our ability to perform our obligations under these Terms of Sale, our obligations will be extended for the duration of the event and we will notify you of this as soon as reasonably possible. Once the event is completed we will arrange with you a new delivery date for your Goods, if possible. Our reliance: We intend to rely upon only the written terms set out in these Terms of Sale in respect of the Sale of Goods to you and not any representations made elsewhere. No waiver: No waiver by us of any breach of yours under these Terms of Sale shall operate or be construed as a waiver by us of any future breaches, whether of a like or different character. No delay by us in taking action in the event of your breach shall in any way release, discharge or otherwise affect your liability under these Terms of Sale. Notices: Unless otherwise stated within these Terms of Sale, notices to be given to either party shall be in writing and shall be delivered by hand, electronic mail (other than, if you are sending a notice to us for the purpose of legal process) or by pre-paid post, to you at the address you supplied to us or to us at our registered office. No third party rights: All provisions of these Terms of Sale apply equally to and are for the benefit of Groupon Goods, its subsidiaries, any holding companies of Groupon Goods, its (or their) affiliates and its (or their) third party content providers and licensors and each shall have the right to assert and enforce such provisions directly or on its own behalf (save that these Terms of Sale may be varied or rescinded without the consent of those parties). Subject to the previous sentence, no term of these Terms of Sale is otherwise enforceable by any person who is not a party to it. Survival: In any event, the provisions of Clauses 1, 2, 4, 7 and 8 of these Terms of Sale, together with those provisions that either are expressed to survive its expiry or termination or from their nature or context it is contemplated that they are to survive such termination, shall survive termination of the Agreement. Severability: If any provision of these Terms of Sale is held to be unlawful, invalid or unenforceable, that provision shall be removed from the Terms of Sale without affecting the rest of the Terms of Sale. Where capable, the validity and enforceability of the remaining provisions of these Terms of Sale shall not be affected. Governing law and dispute resolution: We will do our best to resolve any disputes about these Terms of Sale. If you wish to bring a legal claim against us, these Terms of Sale (and all non-contractual relationships between you and us) shall be governed by and construed in accordance with English and Welsh law if you live in England or Wales, Scottish law if you live in Scotland or Northern Irish law if you live in Northern Ireland, and both parties hereby submit to the exclusive jurisdiction of the competent courts of England and Wales, Scotland or Northern Ireland. The parties also agree that the United Nations Convention for the International Sale of Goods does not apply to this transaction.